Koala mask PDF to print at home. 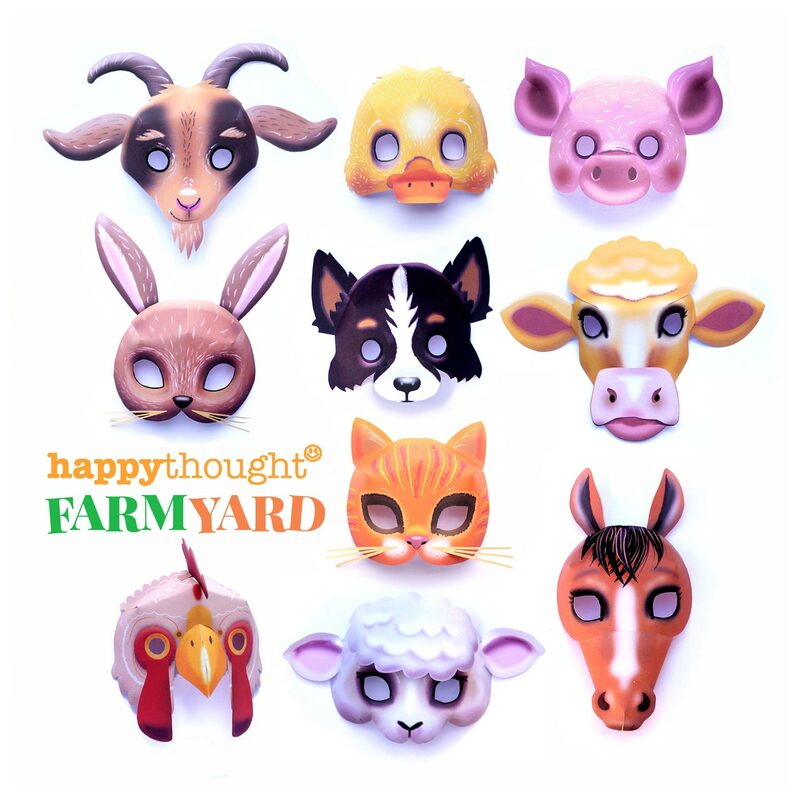 12 Animal mask templates to download! Koala mask for outdoor play! 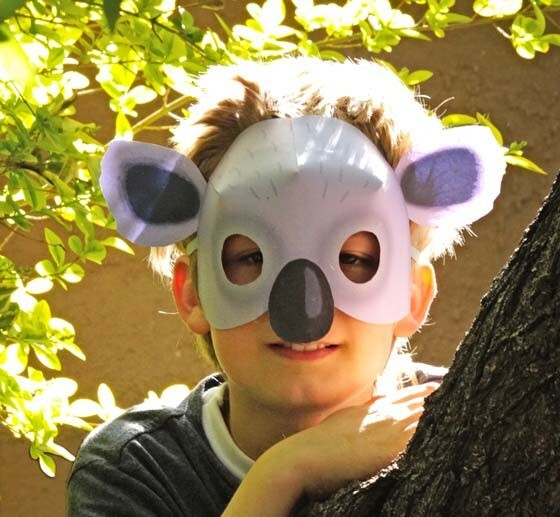 Easy to put together DIY koala mask and costume: Eucalyptus not included! 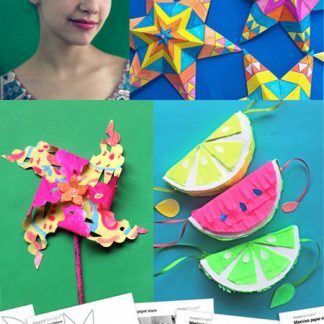 This paper koala mask and our DIY koala costume ideas are perfect for dress-up and costume parties, theatre fun, classroom activities and rainy days! 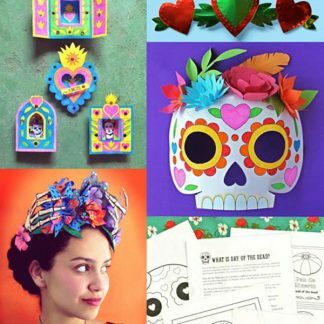 The masks are so easy to make – just download and print your template, then follow our easy step-by-step tutorial below. 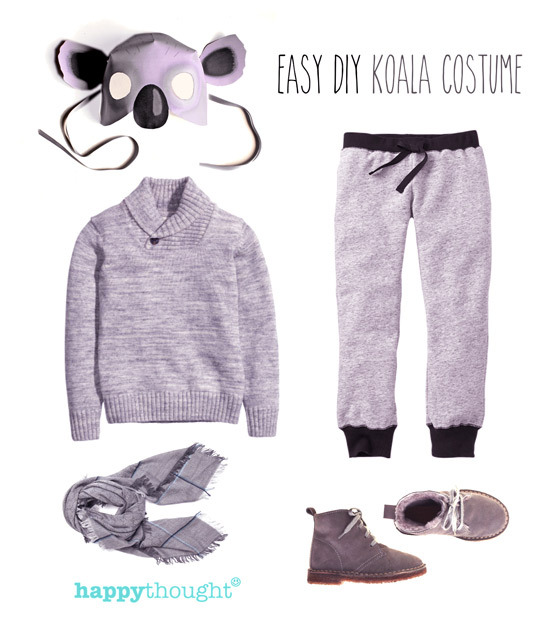 We’ve also put together an easy koala costume idea using clothes you might already have at home. 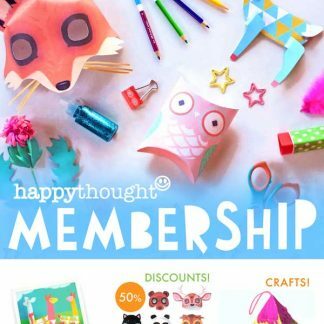 This koala mask is part of Happythought’s 10 printable Happy Animal mask set, available to buy in our online shop. 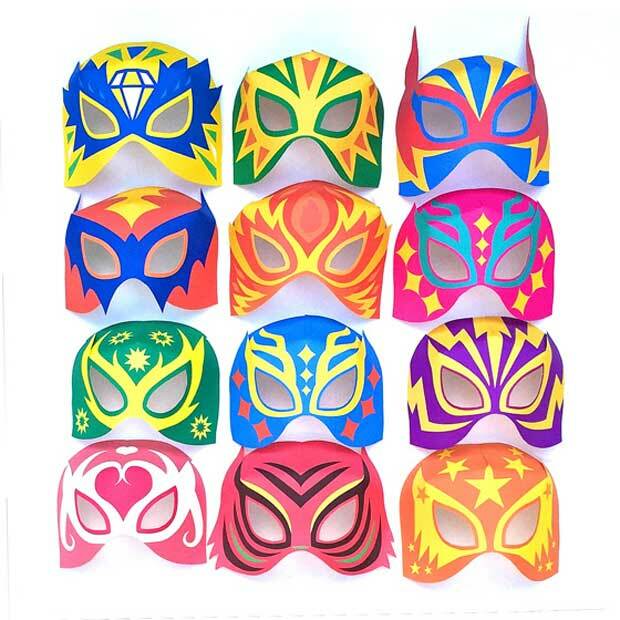 All the animal masks come with a color-in mask version and and an animal color-in fact sheet. 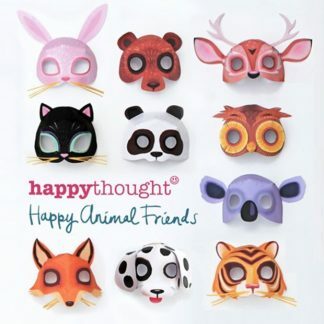 Featured animals include a bear, bunny, cat, dog, fox, owl, panda, deer and tiger masks to print out and make. Carefully cut out the koala mask, ears and eye holes. Now glue the ears onto the side of the mask as shown. Great! 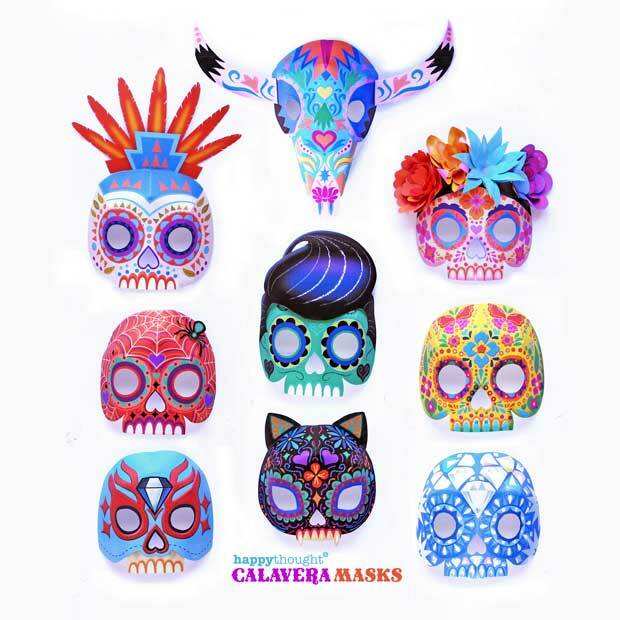 Your koala mask is ready to wear! You can throw together a cool koala costume in minutes, using these basics from your kid’s wardrobe. 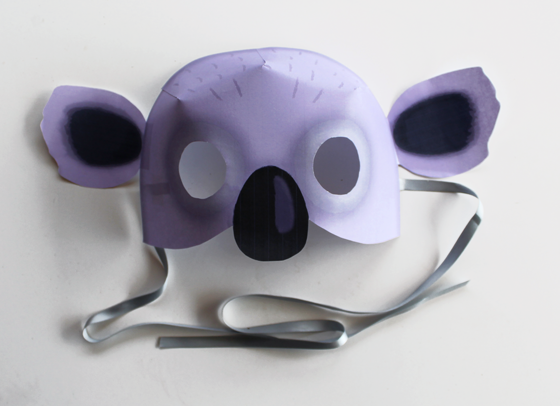 Australia’s native koala: fun mask templates to print and make! 1. Koalas are native to Australia. 2. Koala fossils found in Australia have been dated as long ago as 20 million years. 3. Koalas are not bears. 4. Koalas eat eucalyptus leaves and almost nothing else. 5. The closest living relative of the koala is the wombat. 6. Koalas have tiny brains. 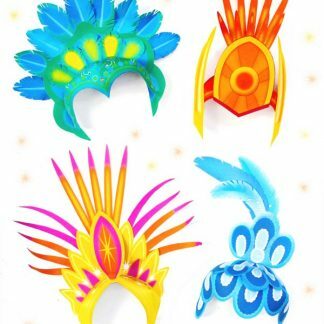 Animal printable mask templates: 10 mask templates to print and play! Visit our store below to get yours! 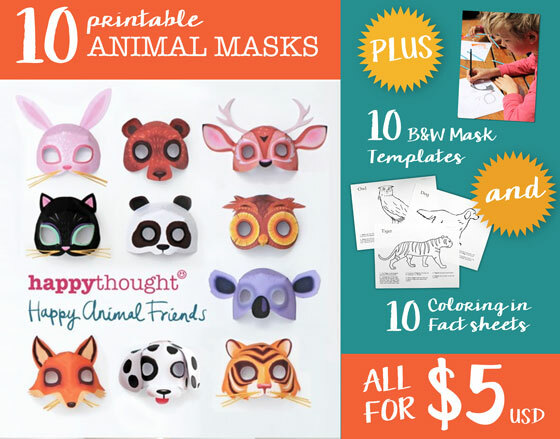 If you like making your own paper masks then check out Happythought’s printable wild animal mask set. 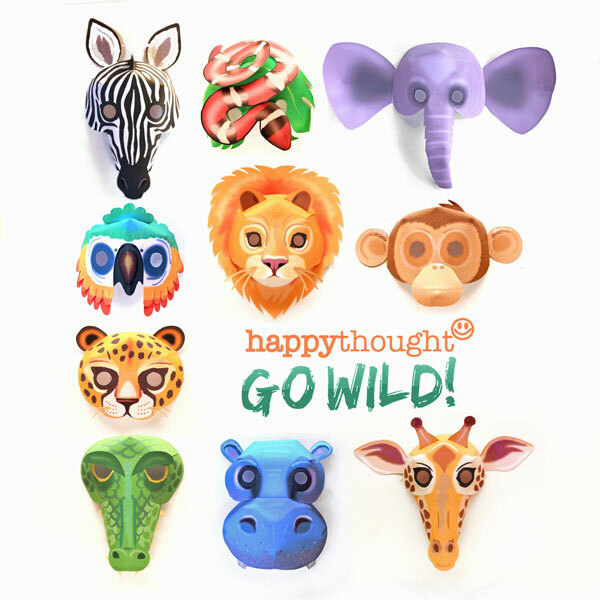 The wild animal set features Lion, Hippo, Elephant, Snake, Giraffe, Tiger, Monkey, Leopard, Crocodile and Zebra masks to print out and make. We hope you enjoyed this DIY koala mask, color in sheet and 6 koala animal facts! 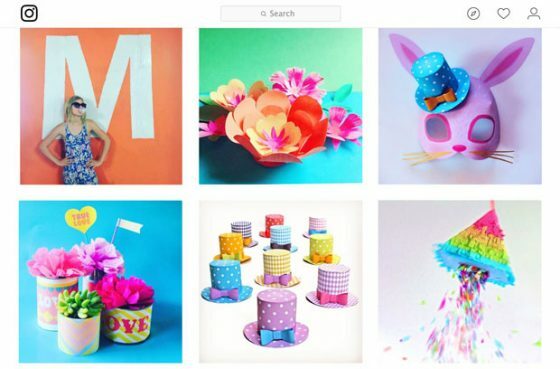 These look great – doing this as a topic in school so template would be great. These printable koala masks are sooo cute!